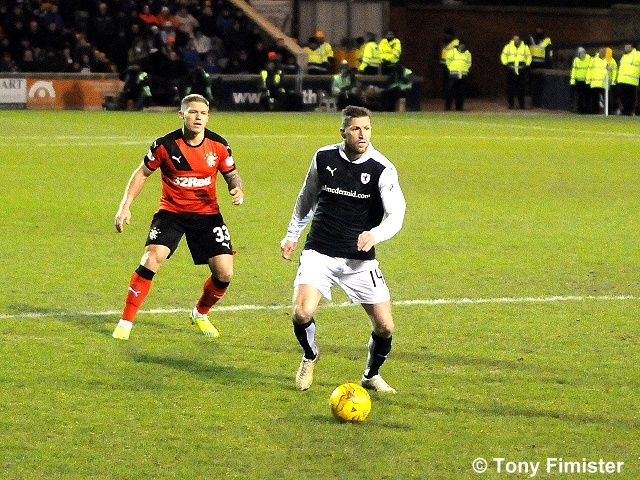 Raith Rovers failed to move clear of Queen of the South in the race for a play-off spot, after being edged out table-toppers Rangers by a goal to nil. 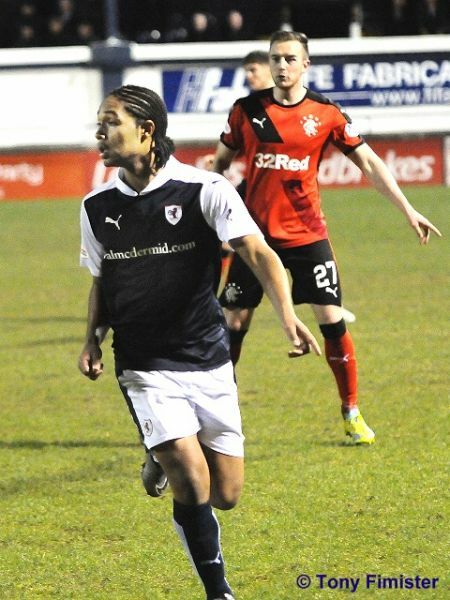 Despite both teams making recent strides in the transfer window, there were no places in the respective line-ups for Rangers half-million-pound man, Michael O’Halloran, or Raith’s loan-acquisition Harrison Panayiotou, who both had to be content with places on the bench. There was still one change to the home starting eleven however, with the fit again Lewis Toshney returning to the team, with James Craigen dropping to the bench. 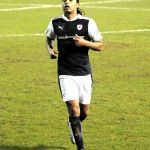 Craigen was being kept company by amongst others, Jason Thomson , who now appears to be lose to a first-team return, after a persistent back injury. Even though there was very few changes in personnel, there were a number of alterations to the system. 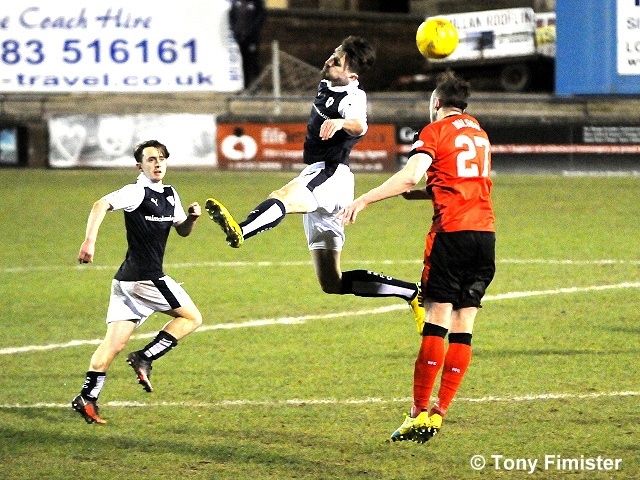 Mark Stewart was on the left-wing, while Louis Longridge was up-top, and Aidan Connolly out right. 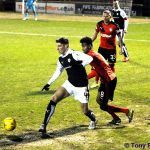 Also, Lewis Toshney was positioned in front of the back-four, in an attempt to protect them from a Rangers team who were on rampant form, with six-wins-in six, scoring 22 goals in the process. 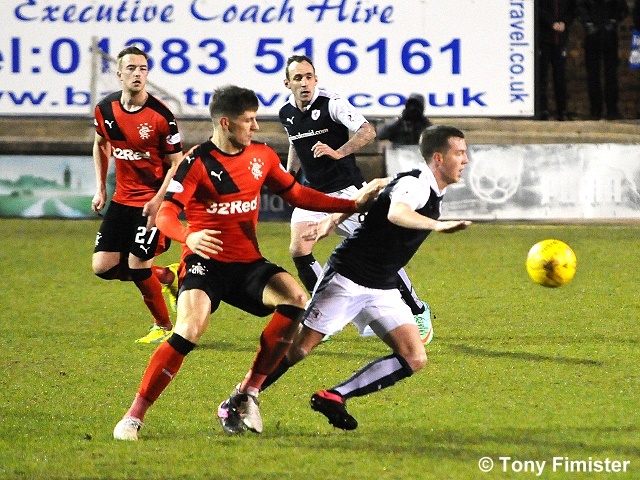 A feature of this fixture in the last season-and-a-half has been an early goal for Rangers, and they looked in the mood to repeat that feat in this match. 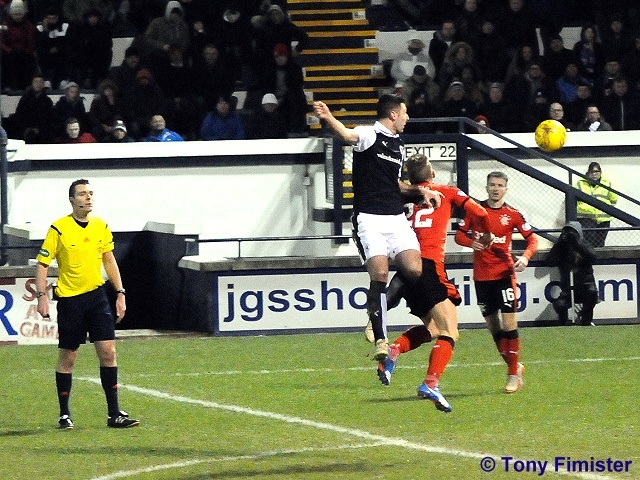 In the opening moments, Martyn Waghorn evaded three challenges down Raith’s left-hand-side, before wriggling into a fine shooting position, but from close range, Kevin Cuthbert smothered his attempt. The same forward then got an easier chance presented to him a moment later, when Rory McKeown was short with a headed pass-back, but Waghorn got his effort all wrong, wastefully sending his shot over the bar. 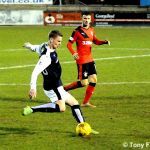 Rangers continued to venture forward, zipping the ball across the turf at speed, although aided perhaps by a Raith team who seemed standoffish in the early stages. Andy Halliday almost managed to take advantage, finding space in the Rovers area, but he pulled his shot wide of Cuthberts’s right-hand post, when he should have done better. 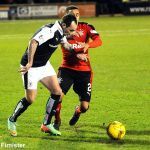 It had been a ragged start from the home side, who looked taken aback by Rangers powerful start to the match, and it almost got worse in the 15th minute. 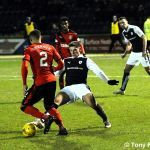 James Tavernier dinked a ball over the defence to Waghorn, but with the Raith defence all expecting offside, Waghorn almost seemed to share the same opinion, and his momentary pause allowed Benedictus to toe-poke the ball to safety. 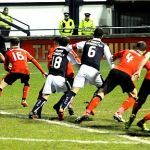 With possession at a premium, Raith had to make the most of what limited ball they had, but they were too often running into trouble or misplacing a pass. 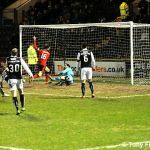 Mark Stewart was caught on the ball midway through the half, and the ball eventually made its way across field to Barrie McKay, whose shot would have curled inside the post, without Cuthbert’s intervention. 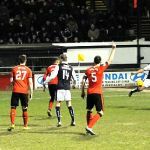 Kyle Benedictus was then booked for impeding Kenny Miller on the edge of the area, and from the resulting set-piece, Halliday struck a shot off the wall, which Cuthbert magnificently diverted onto the post at full stretch. It really was all one way traffic at this stage, but to Rovers credit, they were defending well, albeit on the edge of their own area, or on occasion, inside it. 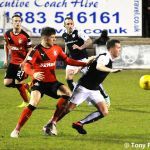 Waghorn was the player who was getting on the end of the majority of Rangers chances, but despite a prolific season to date, his finishing hadn’t been quite up to the usual standard, and he spurned two further opportunities as the interval approached. The first, saw a Tavernier set-piece drop to him on the edge of the six-yard-area, but from an angle, he couldn’t seem to quite adjust his feet in time, and Cuthbert smothered his scuffed effort. 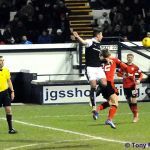 The second was also a gilt-edge one, as Iain Davidson failed to get good distance on a defensive clearance from a McKay cross, but the Rangers forward volleyed over the bar. 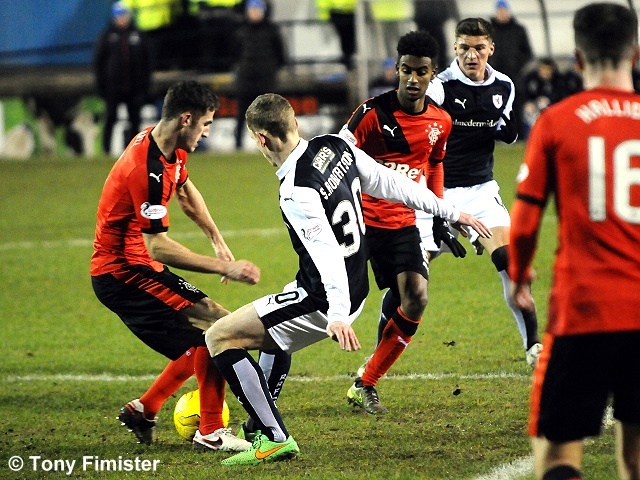 Just as it seemed Rovers had weathered the storm, Rangers struck in the 44th minute. 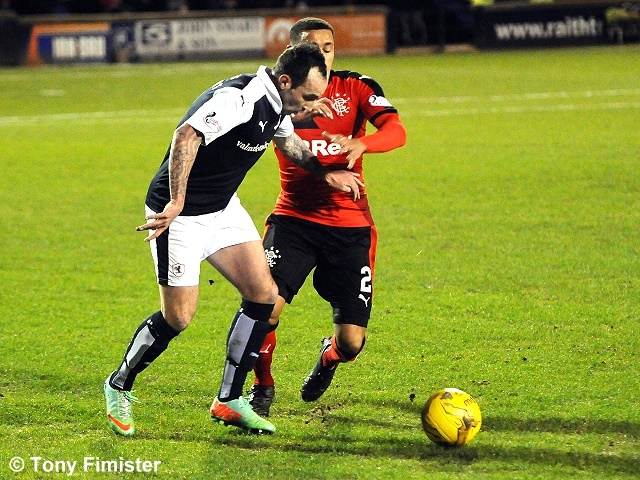 Tavernier did well to reach the bye-line after a slick combination with Kenny Miller, and his low cross was swept into the net from close range by Halliday at the front-post. 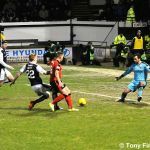 With Raith offering little in an attacking sense in the first-forty-five, they were straight on the front foot at the start of the second. 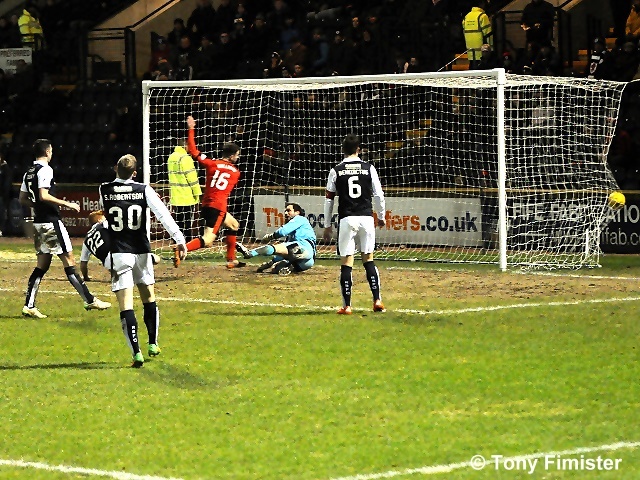 Stewart and McKeown combined effectively down the left, and the latters cross was steered towards goal via a back-heel from Longridge, although Wes Foderingham pounced on it easily. While Rangers were still the game’s most dominant side, they weren’t having it all their own way like had been the case in the first. 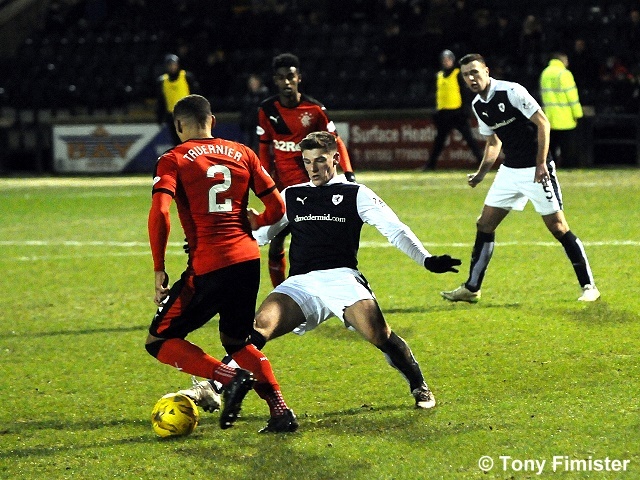 Raith had worked hard the whole game, but there seemed to be a higher tempo about them now. 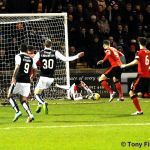 Players were being harried into mistakes, tackles were being snapped into quicker, and while Mark Warburton’s men were hardly on the back-foot, they certainly had something more to concern themselves with, from a Rovers team who sensed that something could still be taken from the game. 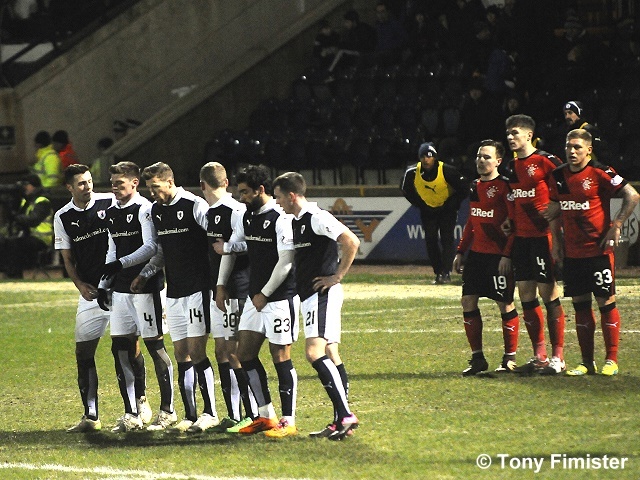 That was the case yet further when Ray McKinnon made a double substitution after 60 minutes, replacing Callachan and Stewart with James Craigen and Panayiotou, as the Raith fans got their first-look at the forward. 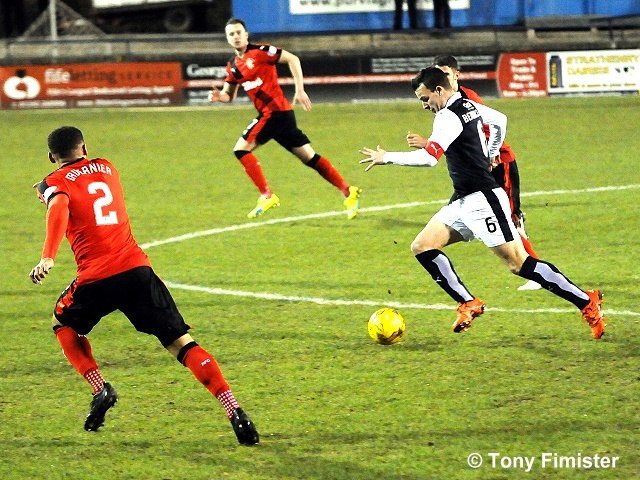 Despite the new threat from Rovers entering the fray, it was a different player who provided Rovers next attempt at goal, although after initially doing well to win the ball off Gideon Zemlalem in the middle of the park, Scott Robertson’s drive from distance was less impressive, as it headed into the stand. 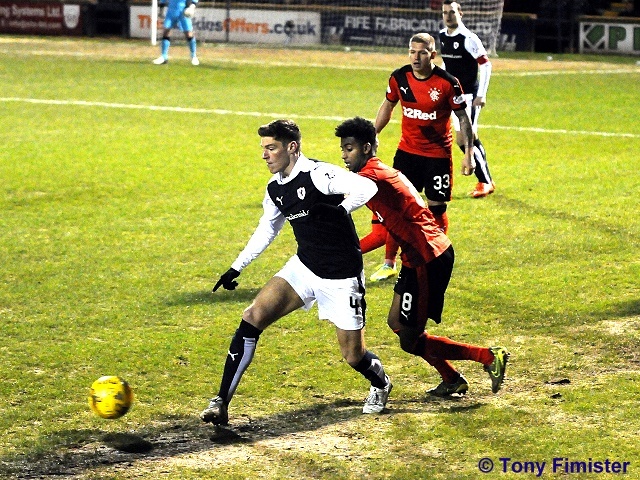 With time ticking down, you felt that Rovers would probably manage to eke out one good chance which would need to be taken, and it appeared for a split second that it had, when Toshney impressively won a header on the edge of the area, which fell kindly to Panayiotou, who gleefully knocked the ball past Foderingham, but the whistle had already gone for a foul by the Rovers defender on Dean Shiels, much to the Rovers fans annoyance. 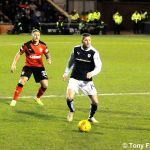 There would be no grandstand finish as Rangers closed out the final moments effectively, and while Rovers had huffed and puffed, especially in the second-half, Rangers were worthy of the three points, which keeps them eight above Hibernian at the summit of the second-tier. 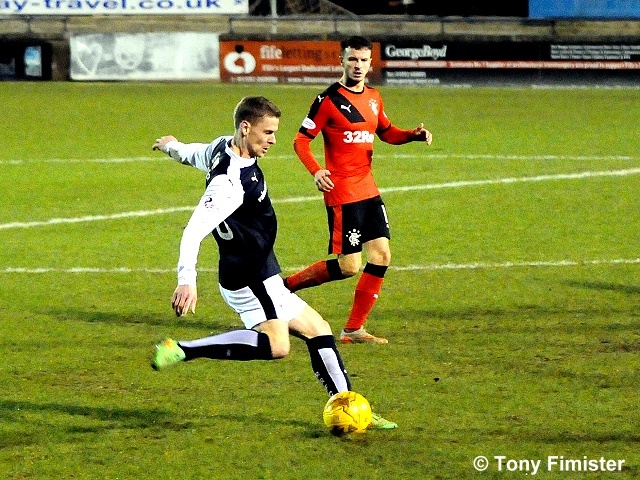 Rovers have a free week this Saturday, but they’ll be back in action on the 13th of February, with an away fixture against Falkirk. Another attempt from Rangers as Waghorn hits a good volley that just goes over. 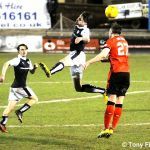 After storm Gertrude put paid to Raith’s match against Queen of the South at the weekend, Rovers will get the opportunity to move three points ahead of the fifth placed Doonhamers this Tuesday, with a home match against Rangers. That might be easier said than done however, against a side who currently reside at the summit of the Championship, and who have won their last six games, scoring 22 times in the process. 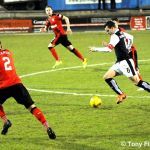 On top of that, Rovers haven’t recorded a league win against the Govan side since 1970, a run of 17 meetings without a win. 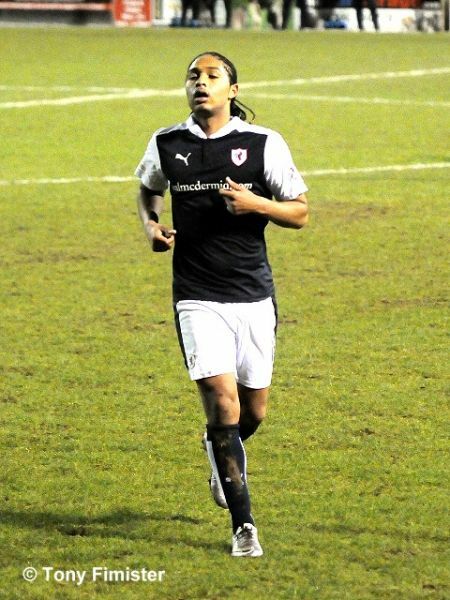 While many games were cancelled around the country on Saturday, Rangers took advantage of Hibernian’s participation in the League Cup semi-final to move eight points clear of the Leith outfit, after a 1-0 win over Falkirk, thanks to a last-gasp goal from new signing Billy King. The last occasion the two sides met was a one-sided affair in September, when an excellent performance from Mark Warburton’s team saw them produce a 5-0 win at Ibrox. 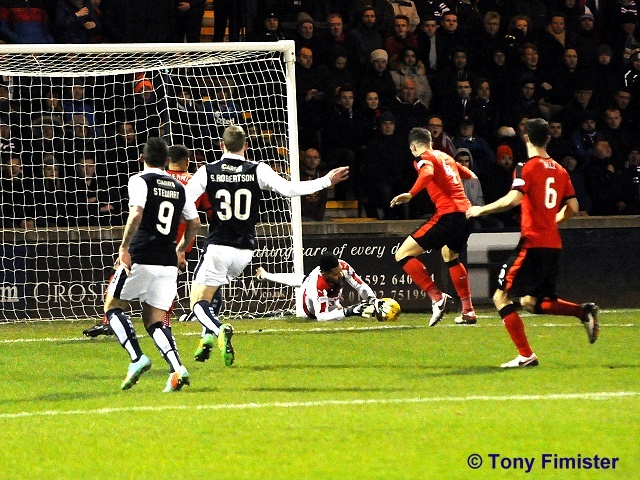 Lee Wallace opened the scoring with an early strike, before James Tavernier doubled the lead just before the break. 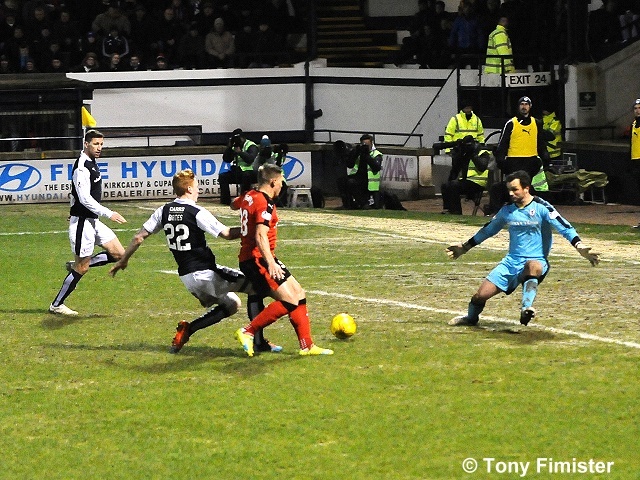 Barrie McKay made it three, and two Martyn Waghorn penalties completed the scoring. 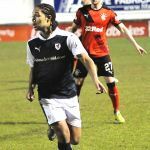 Tuesday evening’s match could see the first appearance of new Raith loan signing Harrison Panayiotou, who’s been loaned out by English Premiership table-toppers Leicester City until the end of the season. The youngster has been capped at full international level by St. Nevis and Kitts, where he has scored four goals in six appearances, and was voted Leicester City’s under-21 player of the year last season. 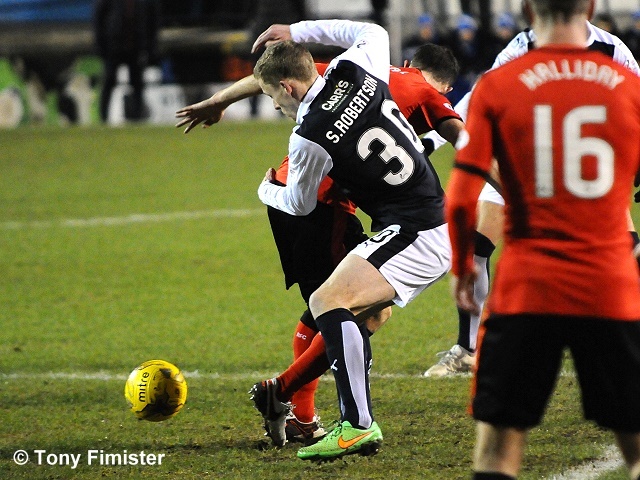 Tuesday evening’s match referee will be Euan Anderson.